Ardstone Capital's ongoing disposal of its Dublin commercial property portfolio continues apace. Having offloaded the last of its office investments in the capital last year, it has appointed CBRE to sell Eden Plaza, a 5.26-acre site in Sandyford in south county Dublin. The site has full planning permission for a five-storey office scheme of between 35,000 sq m and 42,000 sq m, and is guiding a price of €20m. 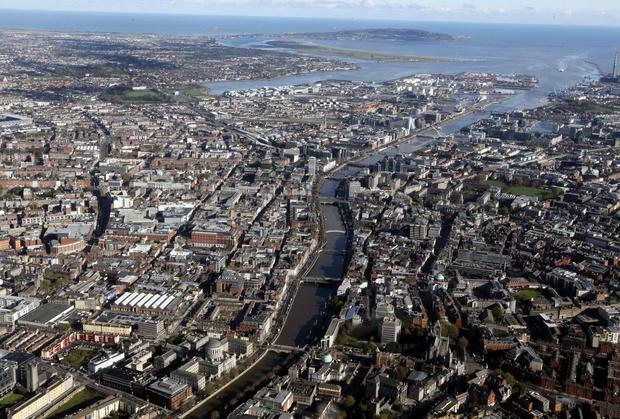 With prime office rents in Dublin's central business district continuing to climb. Sandyford is cementing its reputation as the city's foremost suburban office location. Microsoft, Bank of America Merrill Lynch, Salesforce, AIB and Google are just some of the big name firms to have located within the Sandyford Business District (SBD) in recent years. Ardstone's move to sell Eden Plaza is in keeping with its decision to shift its focus from the commercial sector to residential. Last year, it made €3m when it sold the last of its Dublin office investments - Block P2 in Eastpoint Business Park to Avestus Capital Partners and Ares Management for €12.05m. Elsewhere in the capital, Ardstone had already sold Google's newest home, the Velasco Building on Grand Canal Street, to Irish Life Investment Managers for €58m; 2 Harbourmaster Place to German investor Real IS for €53.75m; and the newly-refurbished 100 Mount Street to Credit Suisse for €20.5m. Ardstone's residential move is set to deliver more than 3,000 new homes over the next four years. It has already acquired a prime land bank with the capacity for 3,500 starter homes.